Sunday, Apr. 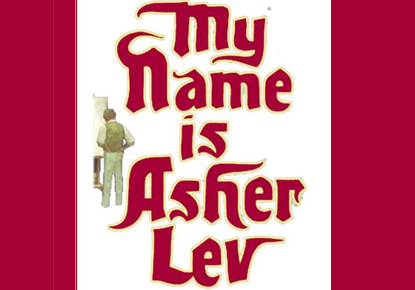 21, 2019, 2 – 4 p.m.
Come experience The Seattle Jewish Theater Company’s production of "My Name is Asher Lev," adapted by Aaron Posner from the novel by Chaim Potok. Followed by an audience conversation with the cast. "My Name is Asher Lev" follows the journey of a young Jewish prodigy who must make a difficult choice between art and faith. When his artistic genius threatens to destroy his relationship with his parents and community, young Asher realizes he must make a difficult choice between his Hassidic upbringing and his desperate need to fulfill his artistic promise. This stirring adaptation of a modern classic presents a heartbreaking and triumphant vision of what it means to be an artist. The Seattle Jewish Theater Company was launched in spring 2011 to bring classic and contemporary Jewish theater to the Seattle area.